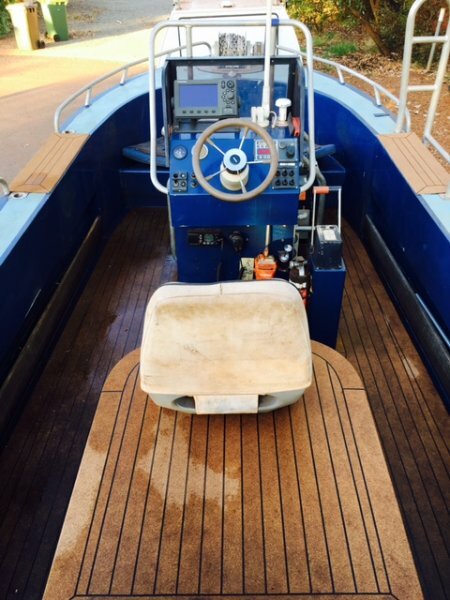 Alucraft centre console jet boat designed by Damien Smith Design Pty Ltd Fremantle. 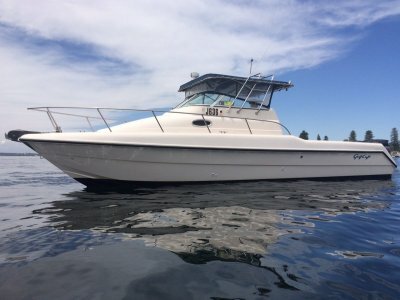 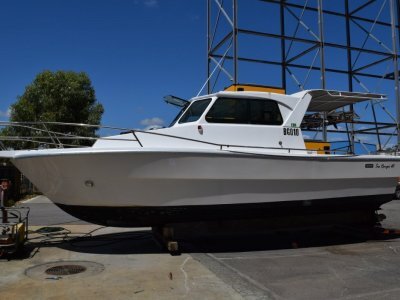 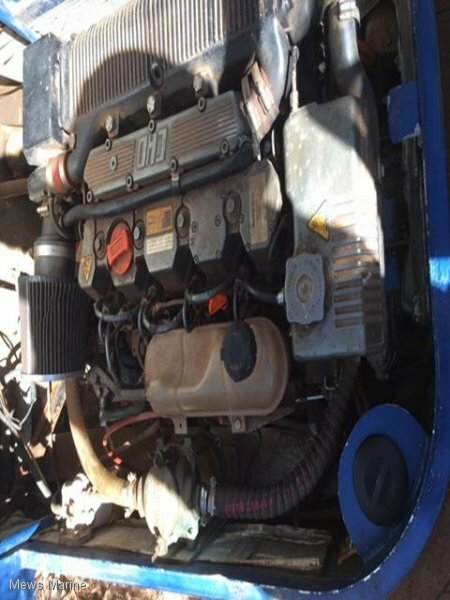 This tough semi displacement boat, is diesel powered with a Lombardini 4 cylinder engine and a Castoldi water jet drive and would be ideal for operating in shallow water for diving and fishing. 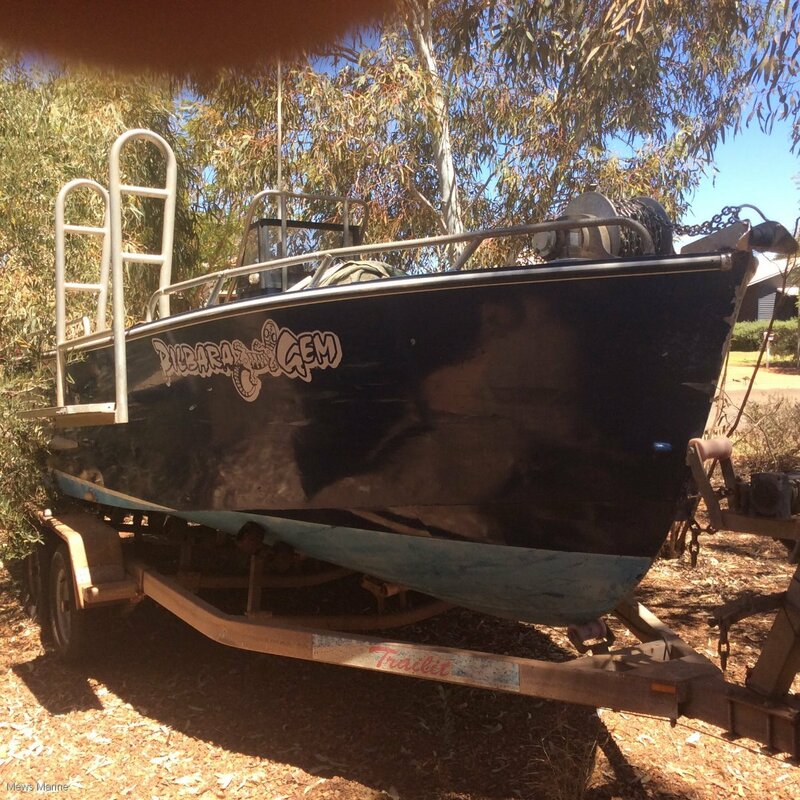 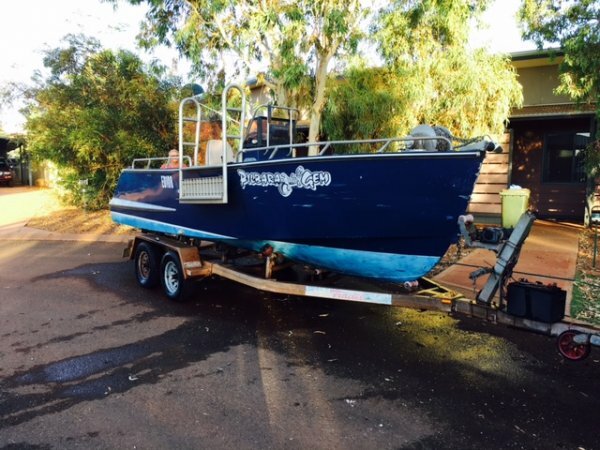 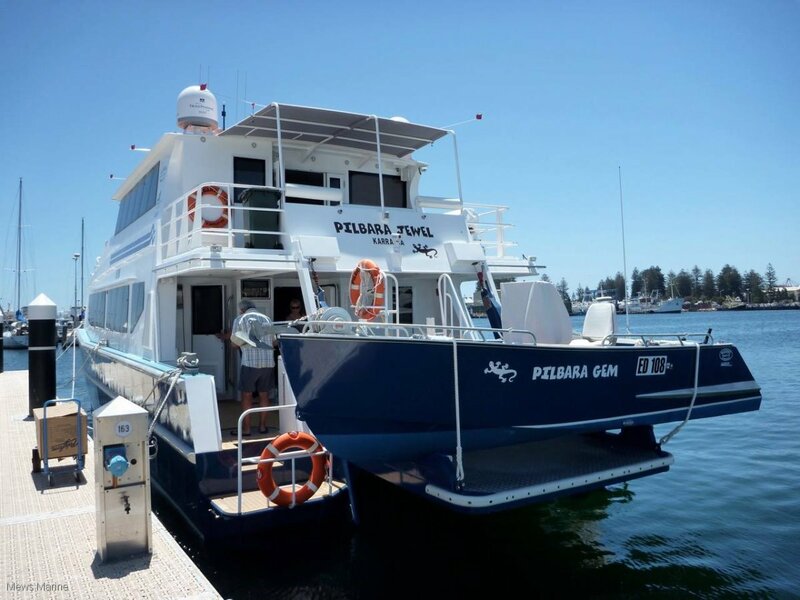 This craft was used as the tender for a 65ft Catamaran 'Pilbara Jewel'. 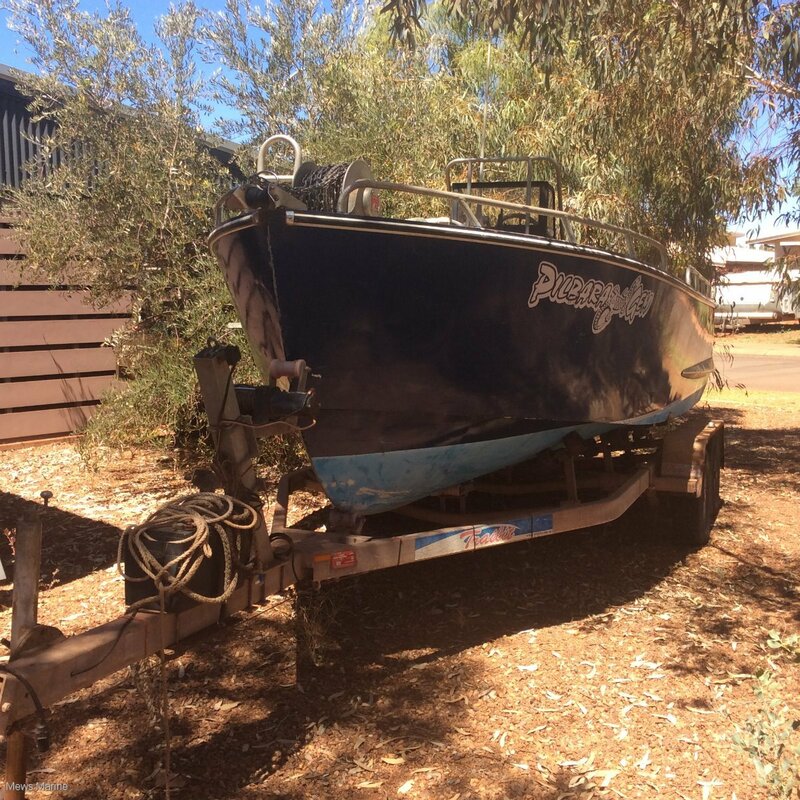 A 'Trailit' tandem axle trailer with multi rollers and electric winch comes with the boat. 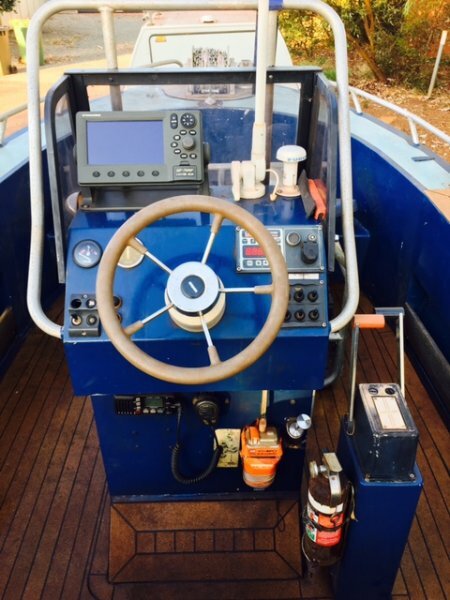 Furuno GP 7000F Gps/plotter, 27 mhz marine transceiver. 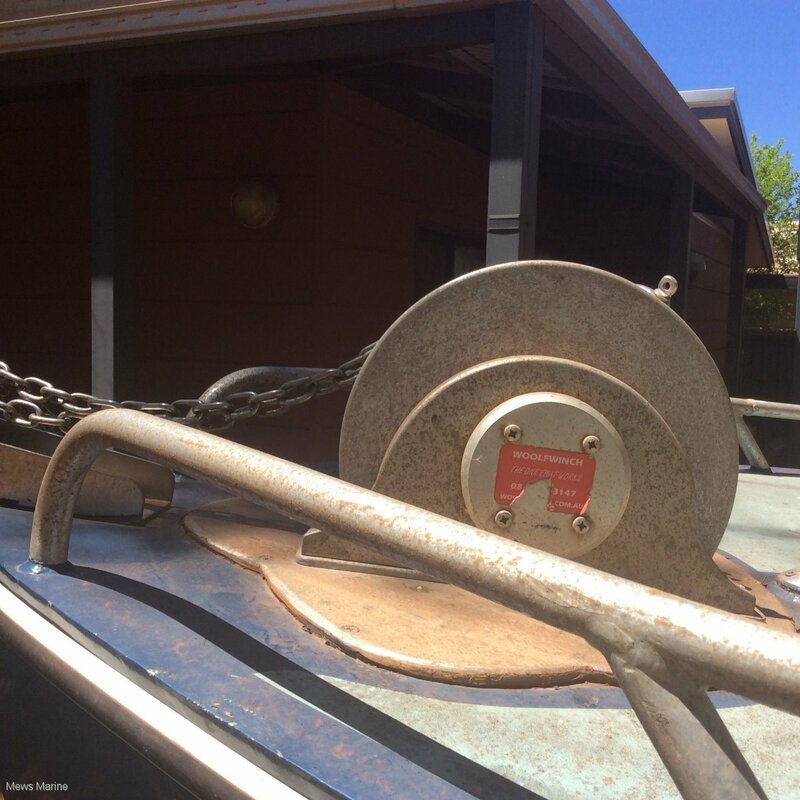 Tandem axle multi roller with electric winch. 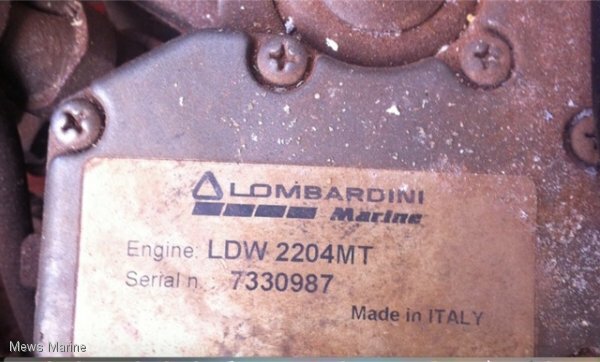 There are 2 spare wheels. 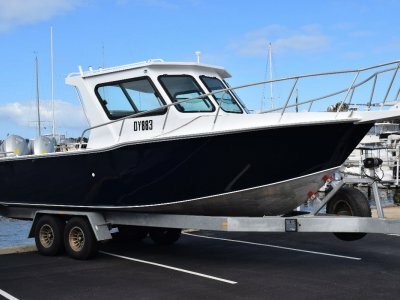 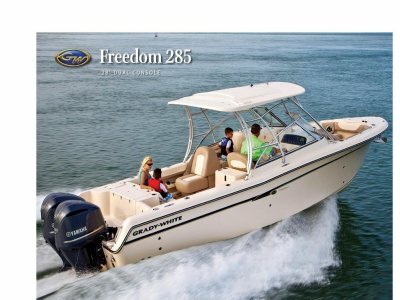 Tough boat for the keen fisherman or diver, capable of operating in shallow waters. 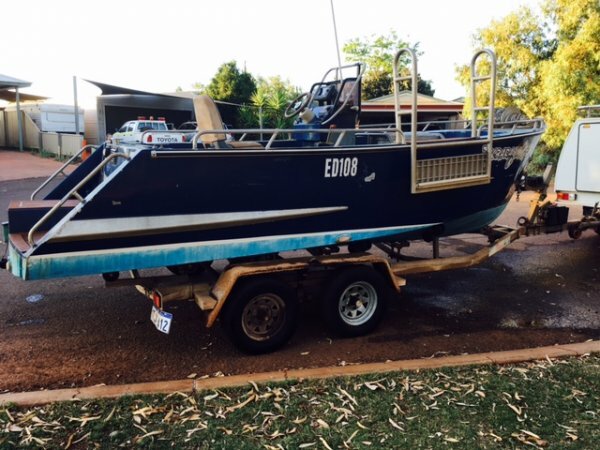 This craft was originally used as a tender for a 65 ft catamaran [Pilbara Jewel]. 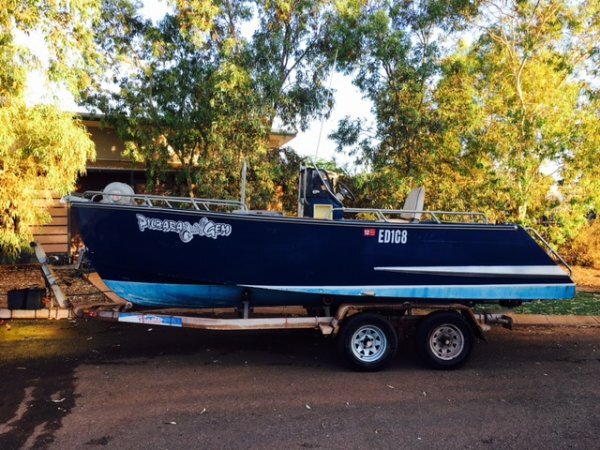 Call Steve Green 0401 656 415 or Chris on 0412 472 329 for details.